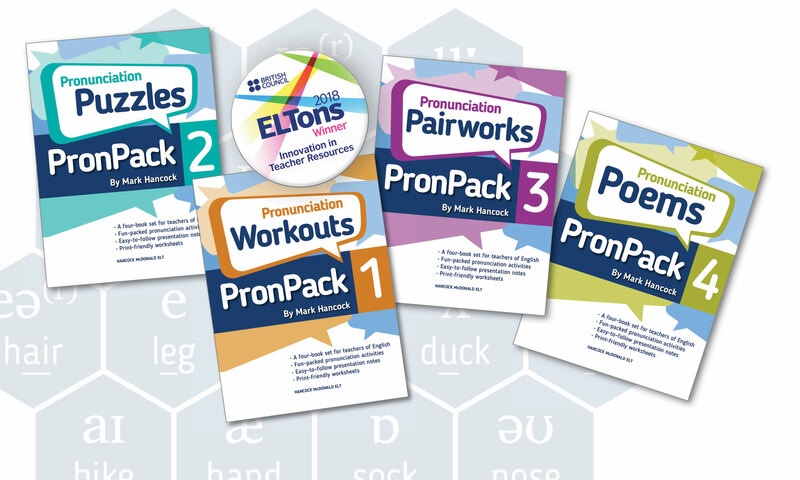 PronPack is a finalist for an English Language Award! Since 1971, the English-Speaking Union has celebrated the highest quality English language teaching resources. This year, there are four categories for the awards, each focusing on materials which develop oracy (speaking and listening) skills: Resources for Young Learners (ages 3-12); Resources for Secondary to Adult Learners (ages 12 and above); Resources for Teachers; The President’s Award for the use of new technology in ELT. PronPack 1-4 has been shortlisted for the award in ‘Resources for Teachers’. Also in the same category are ‘A Syllabus for Listening’ by Richard Cauldwell, Puchta and Elliot’s ‘Activities for Very Young Learners’, ‘Mobile Learning’ by Shaun Wilden, and ‘Power-Up’, from David Farmer. The winner will be announced on November 20th, 2018 at a ceremony in London. Previous PostPrevious The Perils of Final Consonant Devoicing! Next PostNext PronPack in Japan!